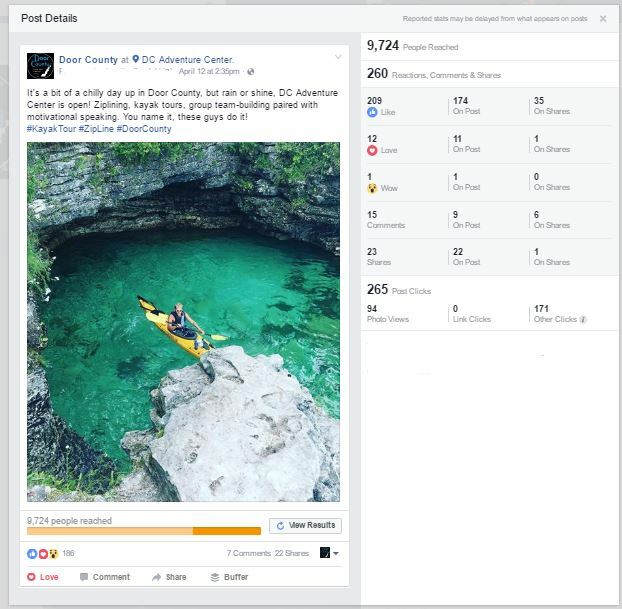 Here are just a few local businesses getting amazing results from Digital Advertising in Door County Social Network. If you have been considering digital advertising in Door County take a look at how we have helped local businesses reach their target audience and generate amazing results. Recently we started doing Facebook Live Videos for businesses in Door County. 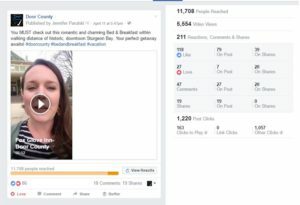 These videos are fun and easy to do and generate a lot of views and traction. 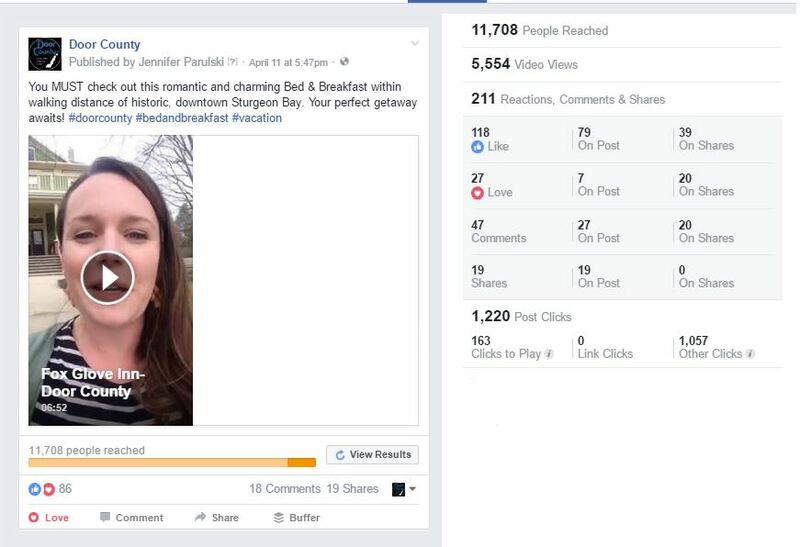 For example, this one for the Foxglove Inn in Sturgeon Bay reached over 11,000 people and over 5,000 views, in about 4 days. And all people who love Door County! Posted on our Door County network of over 35K Door County fans who want to know about events, places to stay, things to do, restaurants and more in Door County. Take a look at the results. 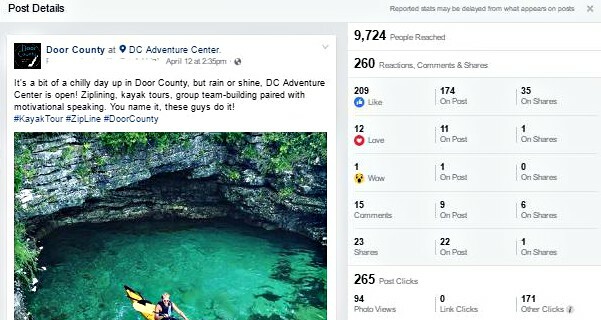 Here’s another we did for a local Door County business, reaching over 9,000 people, 22 shares and many people talking about their business and making plans for their next visit to Door County. Are you interested in getting more leads, booking rooms and reservations? Have an event coming up that you would like to promote? We can reach tens of thousands of Door County enthusiasts with your message. Even better, we can target to reach exactly the people who would most likely be interested in what you have to offer and we can even show you the results! When was the last time your advertising account manager told you that?